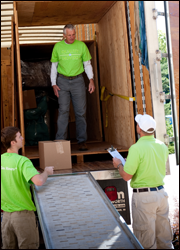 Father and son team Dave and Nick Franta launched Quality Transfer & Storage Moving Co. in 1996. Born and raised in the Twin Cities metro area, Dave and Nick saw a need for a locally owned and operated moving company with an unmatched commitment to quality and on-time service. 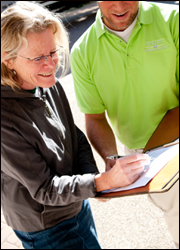 Together with a staff of professional, courteous, and fully trained staff of experts in the moving industry, Dave and Nick provide solutions for homeowners, renters, builders, and companies with moving, packing, and storage needs. Quality Transfer & Storage has locations in Edina, Minnesota, and Hudson, Wisconsin, serving these communities as well as the entire states of Minnesota and Wisconsin. Both locations offer indoor storage in climate-controlled storage facilities. We offer full-service packing, and we also sell packing supplies � and give away free boxes � to our clients who wish to pack themselves. We operate a full fleet of moving trucks and vans. By sharing your experience with Quality Moving and Storage , it will help other customers to make a right choice of using this company.